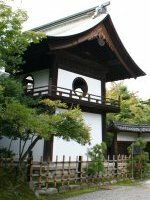 Customizable Day Tour from Nagoya with Private Guide: Takayama, Shirakawa-go, Hakone, Ise, Kyoto, Nara, Himeji Castle, Hiroshima, etc. Are you looking for a guided private day tour from Nagoya? We, Hitonomori Co. Ltd. and Fun Lead International Co., Ltd., one of our partner travel agency, jointly provide you with a customizable day tour to Takayama and Shirakawa-go, and other various places from Nagoya. Hitonomori Co. Ltd. provides licensed professional guides in English and the Fun Lead International Co. Ltd. is in charge of the booking and arrangement of the tour. If you are interested, please contact us. We indicate popular tours with an itinerary and a price. These tours are just examples and they are to be customized to suit with your needs and wants. The price is subject to change, depending on the day of a week, season and other conditions. Please feel free to ask us. Enjoy Takayama old city, Hida beef steak lunch, and walking around Shirakawa-go Village. You take Shinkansen Super-Express from Nagoya to Odawara. If it is fine, you can enjoy the view of Mt. Fuji through the window of the Shinkansen. 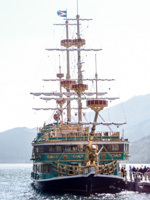 From Odawara you make round trip of Hakone Mountain by train, cable car, rope way, pirates ship and bus. 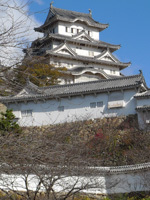 You visit World Heritage Himeji Castle in a day. Visit Himeji Castle and Japanese garden 'Kokoen'. Enjoy Japanese cuisine at Kassuiken Restaurant in the Japanese garden.